By Jenny McGovern | June 29, 2011. 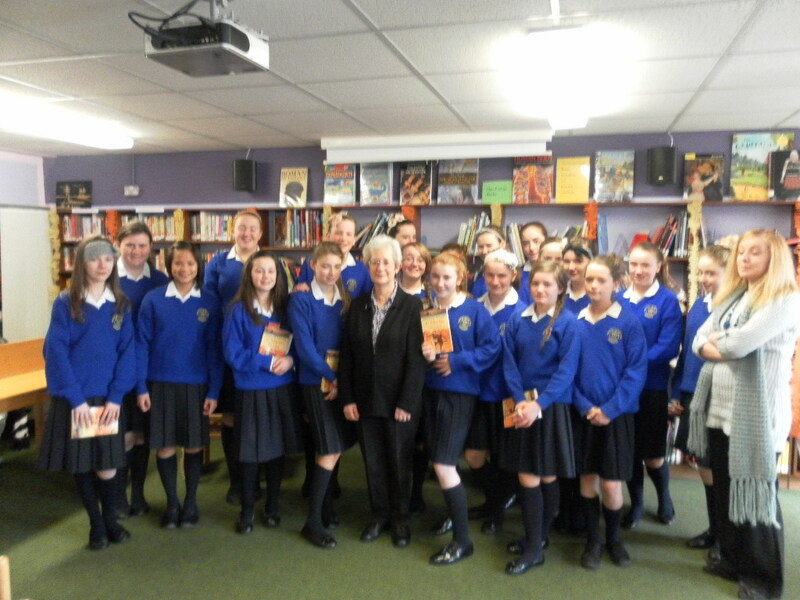 The upcoming One Book One Liberties initiative is a community reading project which will be based in a number of primary and secondary schools in the Liberties area. This project which will begin this September, aims to get as many people as possible reading and discussing the same book. Several sixth class primary school and first year secondary school pupils will be reading the book 17 Martin Street which is written by Marilyn Taylor. 17 Martin Street is set in Portobello, Dublin during “The Emergency”. It deals with the darkest period of European history World War Two. It follows the story of Ben Byrne and Hetty Golden who despite problems between their families (Catholic and Jewish) set out to rescue a teenage Jewish refugee who is on the run from immigration authorities. It is an engaging, historically accurate tale which is set only a few streets away from the Liberties. The book will be read over a six week period and an event will be held each week which focuses on a particular aspect of the book. For example one week there will be a historical walking tour of the old Jewish area, another event will be a trip to the Jewish museum, there will also be a musical event based on songs mentioned in the book, there will also be a food tasting event based on foods mentioned in the book.. These events are a wonderful method of engaging the pupils with the history which surrounds the book. The initiative also invites parents to become involved by reading the book and discussing it with their children. There will also be a link up with libraries in the Dublin 8 area as well as after school clubs, book clubs and homework clubs. The author, Marilyn Taylor is a “war baby” who grew up in Britain at the time of World War Two. The schools involved are Presentation Warrenmount Secondary and Primary Schools, Scoil Treasa Naofa, St.Brigids, Francis St. CBS, Synge Street Secondary and Primary School, St. Audeon’s, St.Enda’s, Mater Dei and James’ St Secondary and Primary Schools.